Well I was hoping for a deer this weekend (even though I have already killed 3), but this big old girl showed up at dark thirty. By the time she presented a shot it was just about too dark to shoot. I was about 18 feet up in a tree stand and the shot was 15 yards or so. I hit her a bit far back, but she was quartering away slightly and the big tree shark broadhead put her down in short order. The blood trail, well a blind man could have followed it and she didn’t make it 40 or 50 yards. 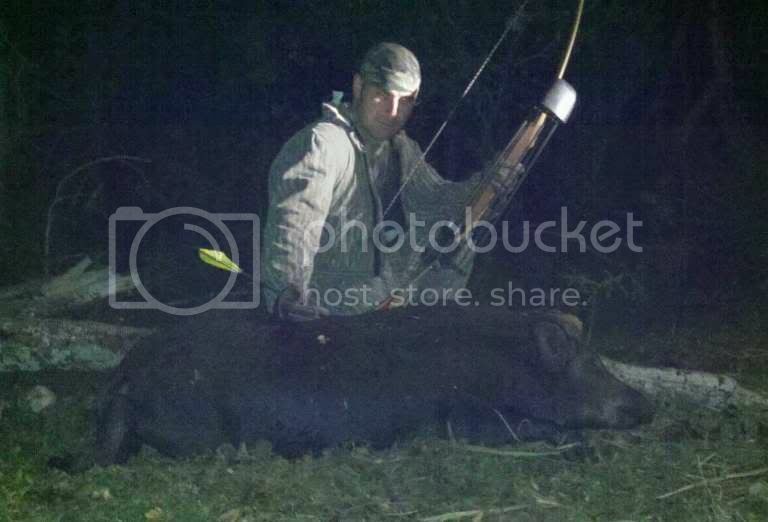 This is my first animal with my Horne’s Longbow. I switched to a Longbow from my Bob Lee recurve this summer. I have taken many animals with a compound and several with my recurve's, but I'm hooked on the Longbow! Well done all the way partner! One heck of a hog. Congrats! 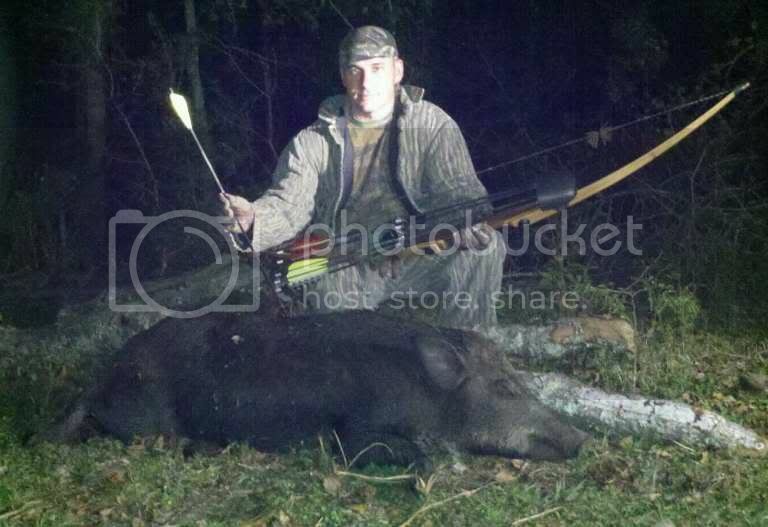 Congrats on a nice hog! Oh Yeah! Cool trophy! 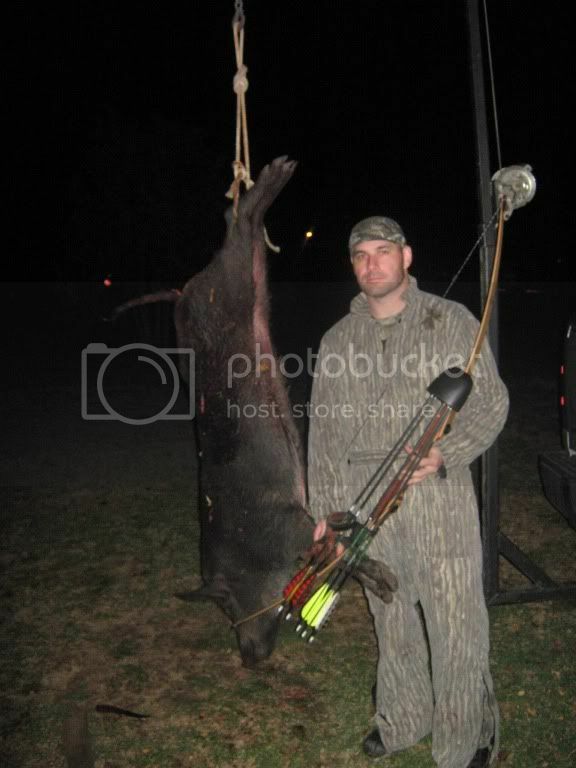 Congrats on the hog.